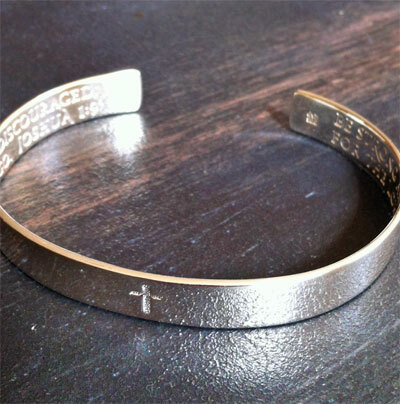 This sterling silver cuff bracelet is finely engraved with the Joshua 1:9 on the inside... "BE STRONG AND COURAGEOUS. DO NOT BE TERRIFIED: DO NOT BE DISCOURAGED. FOR THE LORD YOUR GOD WILL BE WITH YOU WHEREVER YOU GO. JOHSUA 1:9". The outside has a simple cross engraved. 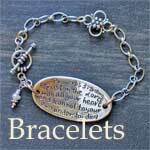 .925 Sterling Silver. Made in the USA.